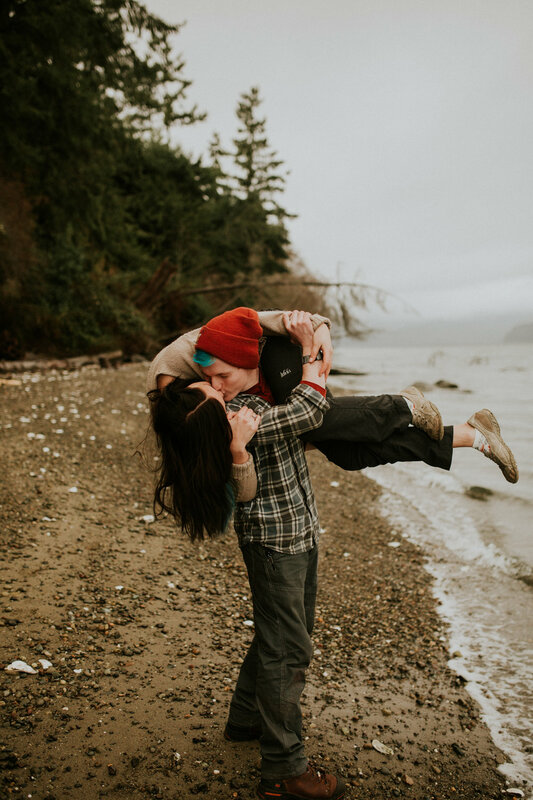 Katelynn and Casey met me in Seabeck and we went and explored down on the beach. It was so moody and gorgeous that day, and we had the best time playing by the waves. 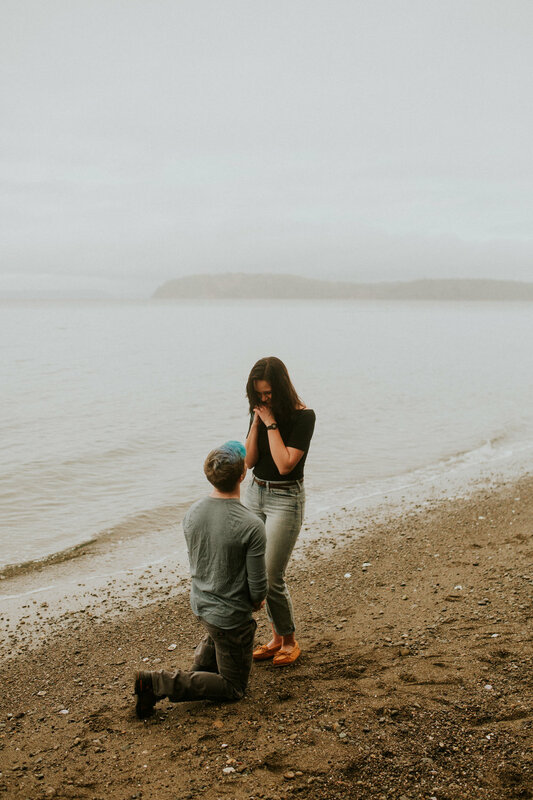 Halfway through the session, I posed them back to back, and the told Casey to “Fix his sock” which was our cue for him to drop to one knee and PROPOSE!! Katelynn was so happy and immediately said yes. A few minutes later, they filled me in on a bet that they had that Katelynn said that she would guess what day Casey would propose. They had written it out, and Casey had brought the contract. They opened it up and SURE ENOUGH, Katelynn had guessed exactly right. It was so cute! lol she was still pretty happy to be engaged though, even though she had seen it coming! 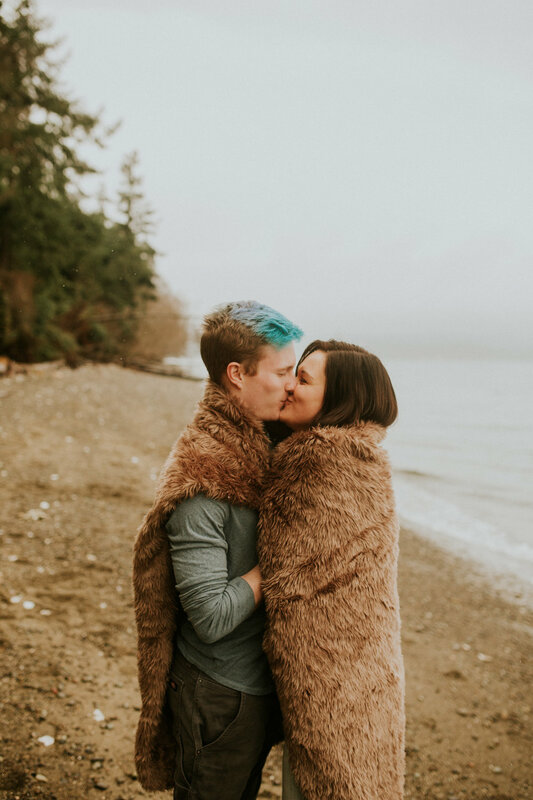 It's so important to have a wedding photographer that you fit and connect with—a friend that you feel you can be your true self around and share your private moments with. I want to get to know you guys! 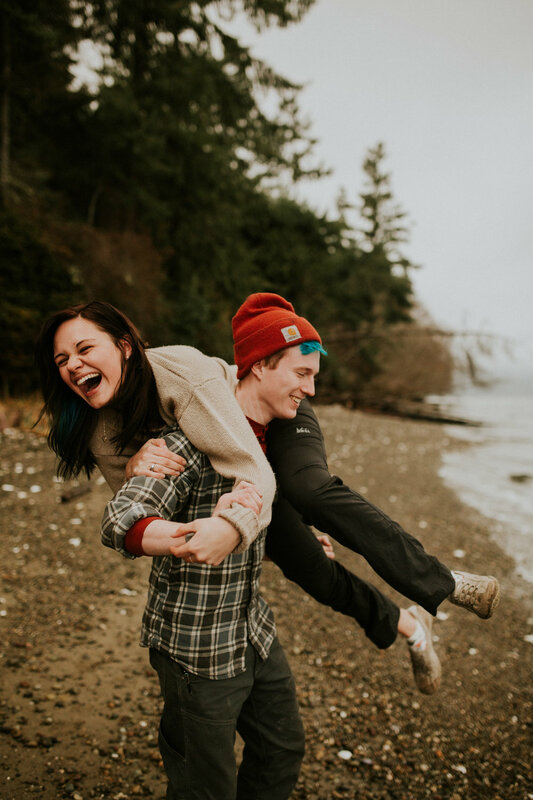 I want to hear your love story and help you create a customized adventure for your elopement or intimate wedding. Gush all about how they popped the question! How do ya want me to get in touch? Where are you in the booking process?